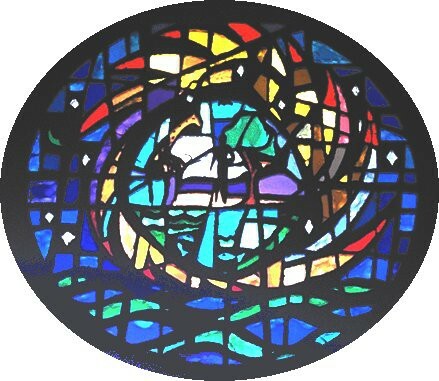 Just as the Creation was the beginning of all that there is, the window representing Creation is where the church begins – in the front façade. 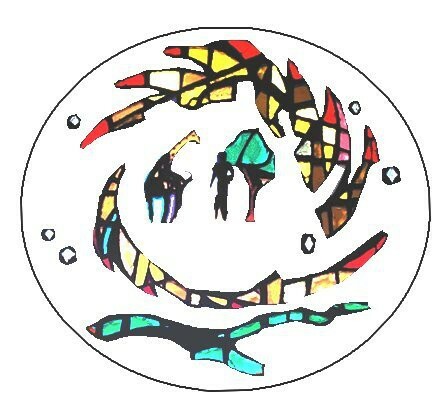 The symbols of Creation are a ring of fire surrounding the objects of creation, A tree (creation of the earth), A giraffe (creation of animals) and People (creation of Mankind). Waves represent the water, over which God moved during creation. Earthly Creation is surrounded by stars and planets.